Incredibly feminine dress in the Baroque style. A corset that perfectly emphasizes the figure, a skirt that has ruffles and flounces as the main feature of the Baroque style. 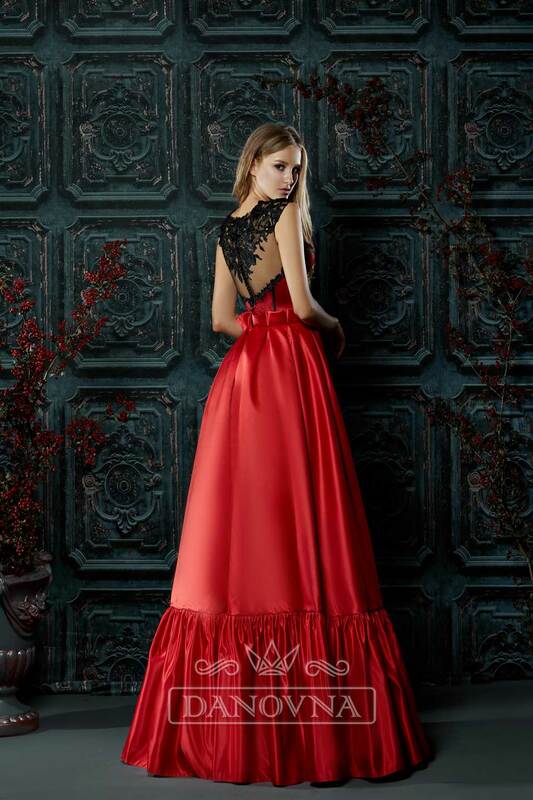 Red color of passion is perfectly combined with black lace. 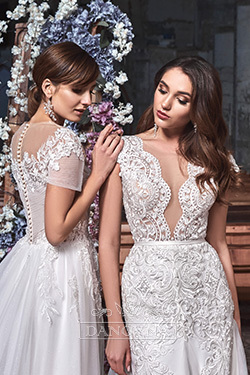 It is impossible to look away from the divinely beautiful back of this dress.